Available with petrol, diesel or electric power. Not on sale until May 2019. DS is expanding its crossover line-up with the launch of the DS 3 Crossback. 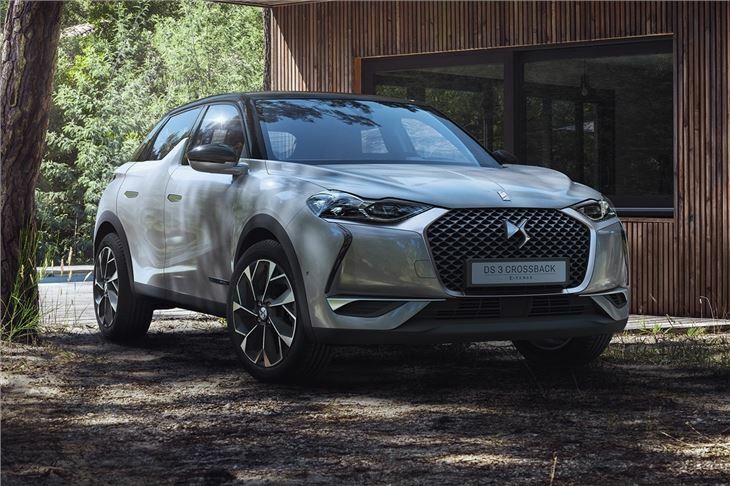 The all-new model will replace the ageing DS 3 hatchback in 2019 and be offered with petrol, diesel or electric power. 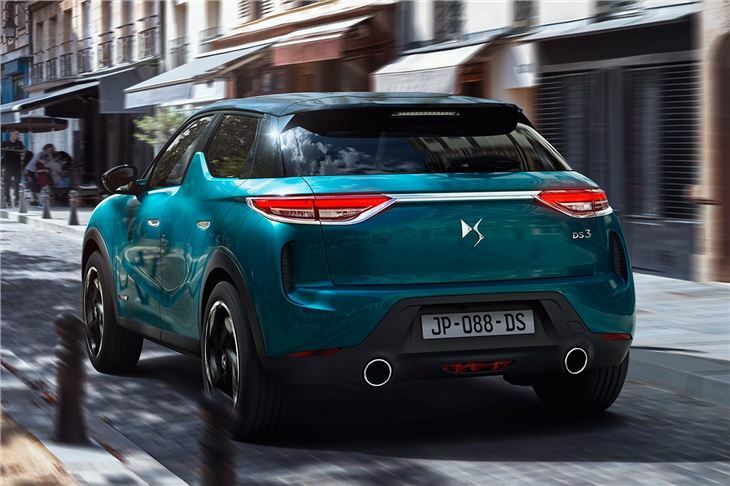 ﻿The compact crossover will rival the Volkswagen T-Roc and mirror the styling of the larger DS 7 Crossback SUV. Prices will range from £21,550 to £33,950, with the emphasis placed firmly on luxury, comfort and refinement. 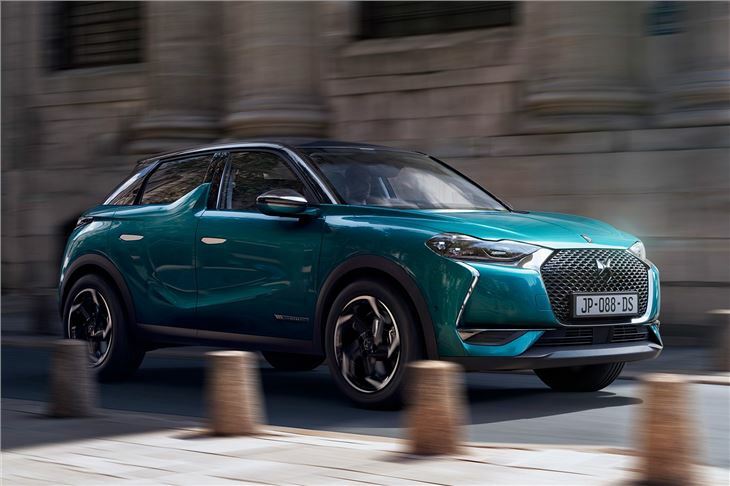 It will also be the first DS model to get an all-electric powertrain, with EV models boasting an official WLTP certified range of 186-miles. 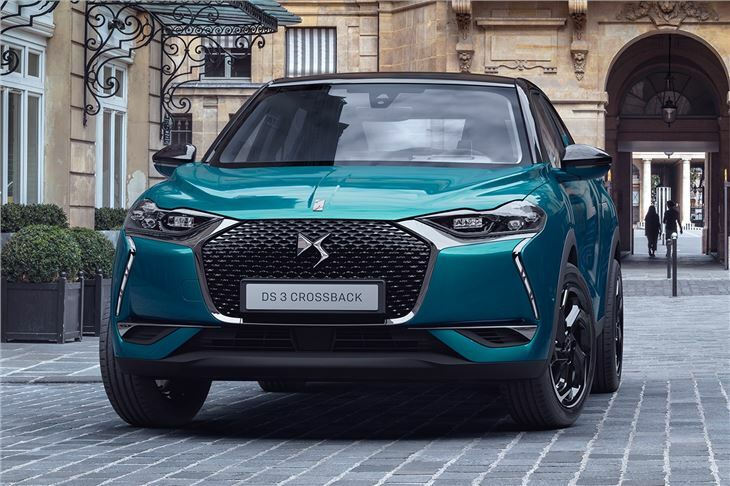 Powered by a 100kW motor (producing 136PS) and a 50kW lithium-ion battery, the DS 3 Crossback electric will take five hour to charge from a 11kW wall box. It can also be boosted from empty to 80 per cent in around 30 minutes, when hooked up to a 100kW fast charger. Petrol and diesel engines will also be available, with the latter comprising of the familiar PSA 1.5-litre BlueHDi with 100PS. Petrols with be based on the 1.2-litre PureTech unit that's found in the Peugeot 3008 and offered in three outputs: 100PS, 130PS and 155PS. Buyers will also get the choice of manual or automatic transmissions, with the 155PS version getting PSA's latest EAT8 auto with eight-speeds. 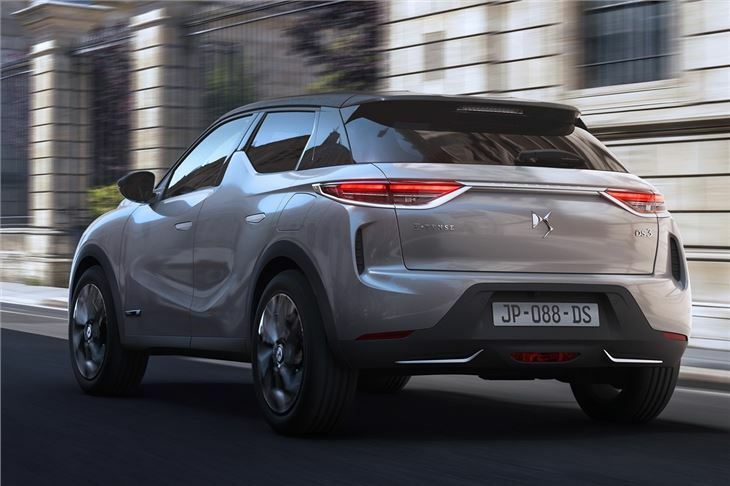 There are no details about fuel economy or CO2 emissions, but DS has waxed lyrically about the flush-fitting door handles that will pop out when you unlock the car and fold back into the body as you drive away. 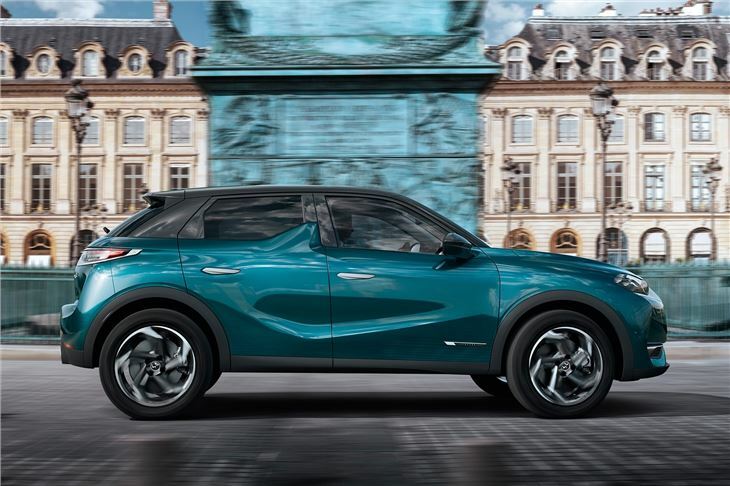 The interior will have space for four adults and provide 352 litres of boot space, which is 67-litres more than the DS 3 hatch. The cabin will be more luxurious too, with body-hugging leather seats, single touch controls for the windows, air vents built into the doors and thicker glass windows that should reduce road noise to a mere whisper.